Reading: Another Huge Prize Falls at BitStarz, Lucky Player Scoops $265,000 Win! Thursday, May 31, 2018 – Another huge prize falls at BitStarz, lucky player scoops $265,000 win! 2018 has been an all-action year so far at BitStarz, as players are scooping up big wins every few weeks. 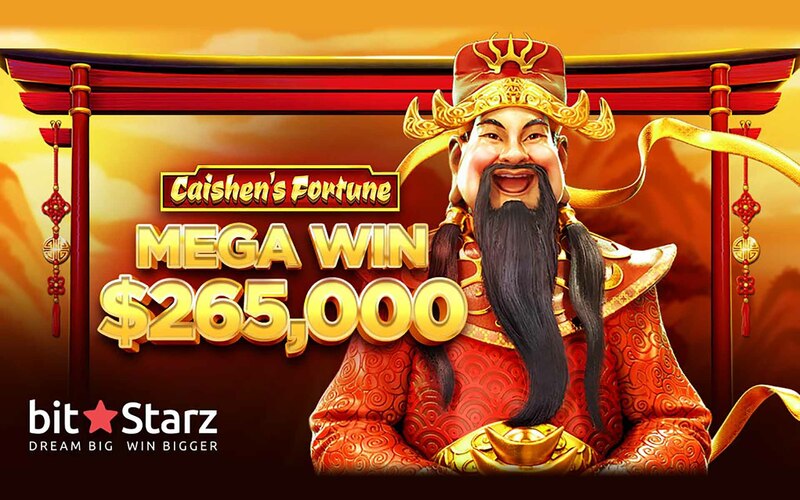 Keeping this unbelievable trend going, one lucky player has picked up a whopping $265,000 payout by spinning the reels of Caishen’s Fortune slot! IGT has a game selection that doesn’t stop short when it comes to big-time fun, which is why you’ll find the developer’s best titles at BitStarz. Looking at games that carry a Far East flavor, Caishen’s Fortune is the pick of the bunch. Featuring explosive reels and an unforgettable free spins bonus round, this is one online slots game that knows exactly how to bring the ways of Ancient China to life on the reels. Given that it delivers all thrills, all spills action; players have been lining up to play Caishen’s Fortune ever since it launched at BitStarz. It’s safe to say that this game has been worth the wait for one player in particular. Feeling the spirit of the Far East, this player was able to ride a wave of red and gold all the way to a $265,000 payout. 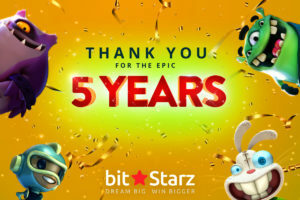 It’s no wonder that both casual players and casino veterans love BitStarz, as, at over a quarter of a million dollars, this prize isn’t just big – it’s life-changing. 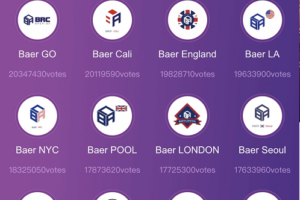 BitStarz has become the undisputed cryptocurrency casino king in recent years – leaving the competition in the dust. It’s bringing players the perfect combination of exciting games, bankroll boosting bonuses, and personable customer support. But, it’s not just the players that are rushing to praise what this Bitcoin casino is bringing to the table. 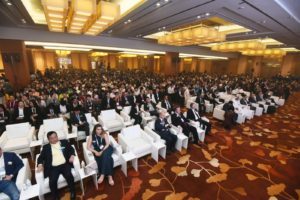 Industry award panels have also been putting this online casino under the spotlight. Named Best Online Casino of 2017 at the recent AskGamblers awards, BitStarz has also secured two EGR nominations – CRM Campaign of the Year and Innovation in Casino. 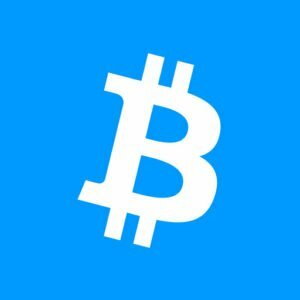 If that wasn’t enough – and for most casinos that would be – BitStarz Blog has recently been named one of the Top 100 Bitcoin blogs in the world. Winning accolade after accolade, BitStarz isn’t just one of the best Bitcoin casinos in the world right now – it is THE best Bitcoin casino in the world right now! It’s happened again, another huge prize has fallen at BitStarz. We couldn’t be happier to announce the latest big win, as a lucky player has managed to grab a $265,000 payout. Everyone here at BitStarz wishes to send our collective congratulations to the player in question, who has managed to win a truly life-changing sum of money. BitStarz is a boutique online casino that’s changing the face of the online casino industry. 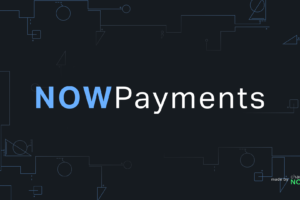 Accepting leading cryptos such as BTC, LTC, ETH, BCH, and DOGE, along with standard currencies, this online casino makes sure that every player isn’t short on ways to pay, play, and cash out. That’s not all either, as BitStarz continues to push the limits of what a Bitcoin casino is capable of, offering more than 1,300 games through classic slots, video slots, progressive slots, instant play games, and countless table classics. Backed by a gaming license issued from Antillephone N.V. – based in Curacao – BitStarz is legitimate, safe, and reliable. Blending five-star casino action, super-fast cashout speeds, and all-around personal service, BitStarz has earned its spot as the casino to watch in 2018! BitStarz is taking the idea of a Bitcoin casino to brand new heights, to discover more about what this leading name has to offer, please contact Srdjan Kapor at [email protected].